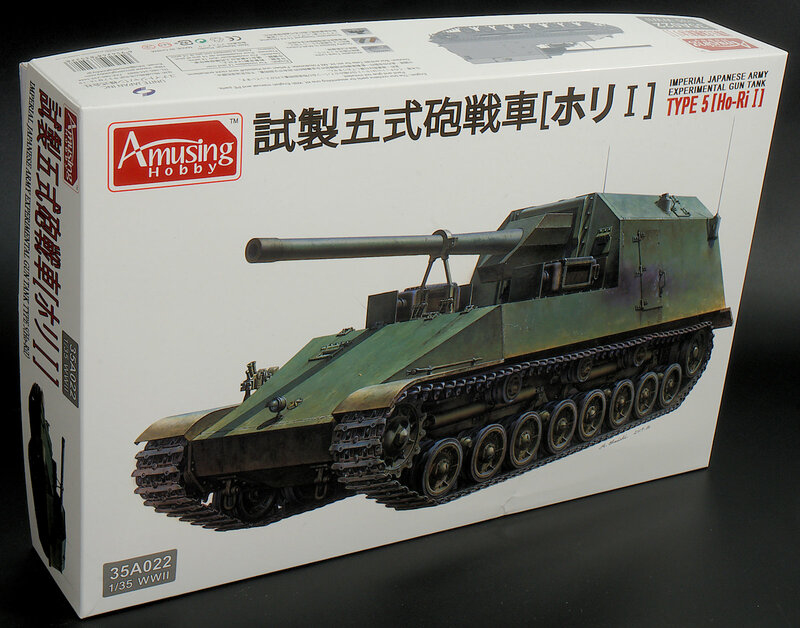 A new variant of a super-heavy tank designed at of the end of WWII is on the ledger as a new arrival from Amusing Hobby. 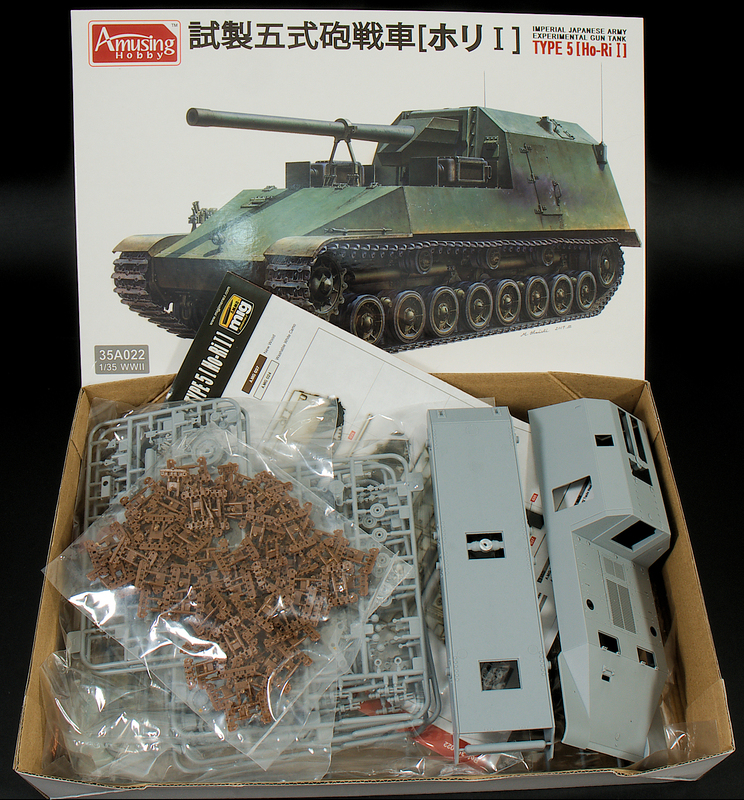 The Japanese Type 5 Gun Tank Ho-Ri I in 35th scale, the kit represents a variant that was never made but bound to be popular with "what-If?" modellers because of its obscure nature. 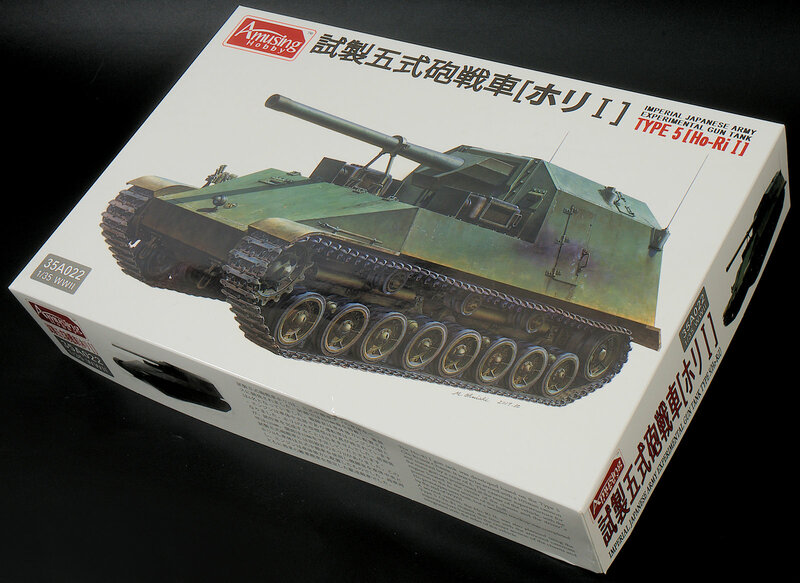 This newly tooled kit from Amusing Hobby gets into the territory of Japanese tanks. We looked into this tank's history of development a little, and this is what we found (in a very preliminary way). The Ho-Ri I In history? 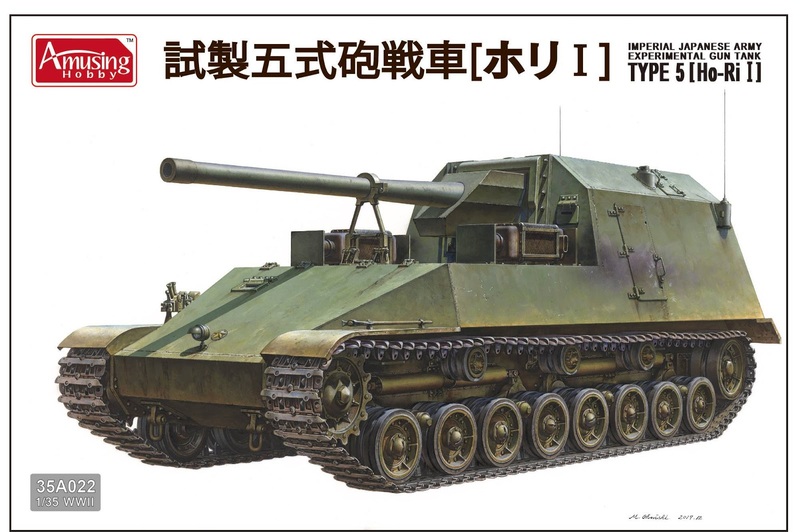 The Ho-Ri I would have been a powerful tank destroyer (gun tank) using a 105 mm cannon in place of the 75 mm gun in its medium tank cousin that the design was derived from. Some say that plans were made to add an additional 37 mm gun in the front armoured plate for smaller targets and self-defence. 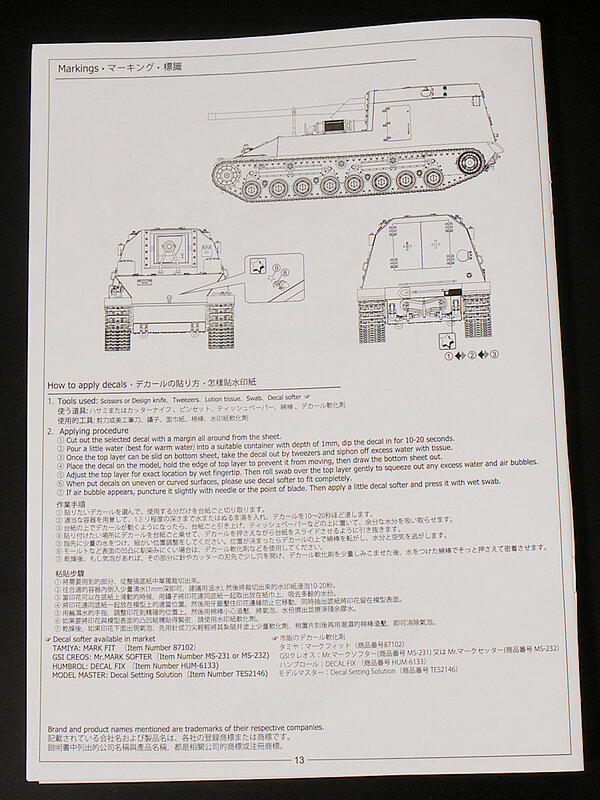 It is assumed that the front armour was planned to be 125 mm and the side was planned to be 25 mm, and the tank was to have a crew of six. 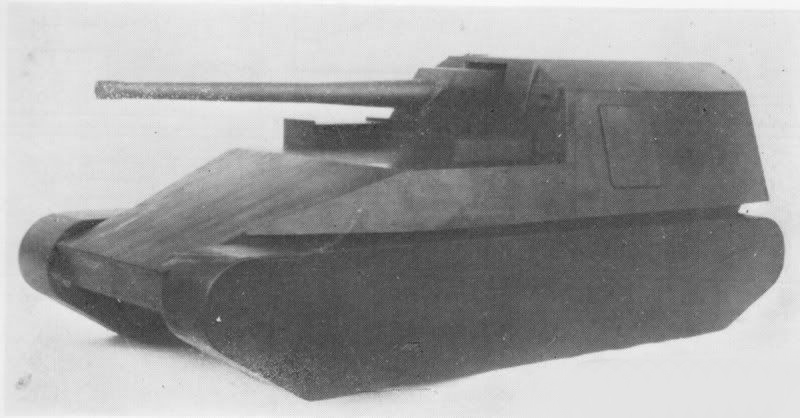 This gun tank would have used the Type 5 Chi-Ri tank chassis. 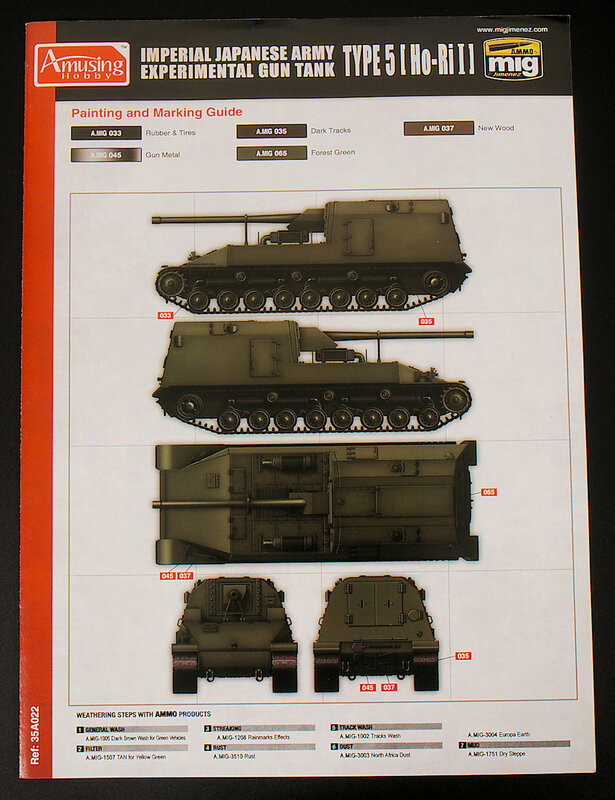 The superstructure for the main gun was placed at the rear of the tank, the engine was positioned in the centre area of the chassis and the driver's station was in the front hull section in a very similar design concept to the German Ferdinand/Elefant heavy tank destroyer. 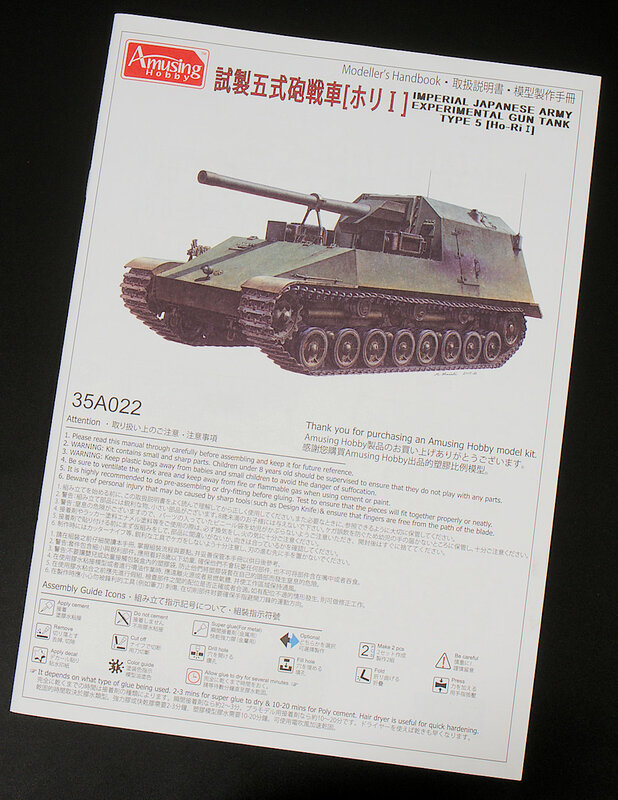 A source states that by March 1945, a total of 5 Ho-Ri gun tanks were produced; further production was halted due to American bombing raids. 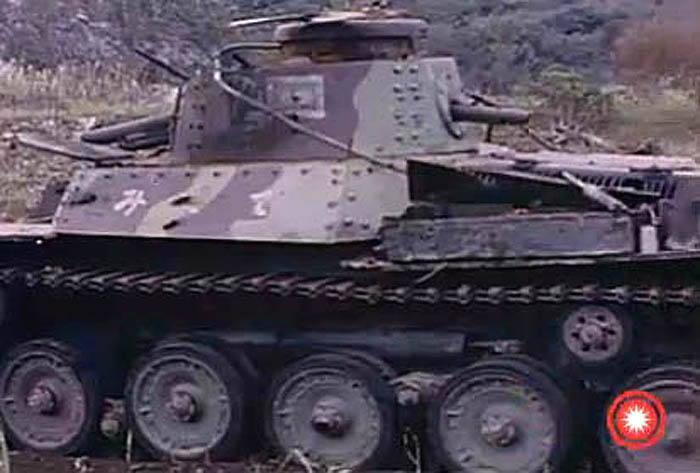 The vehicles were reported to have eventually been destroyed or disposed of in deep lakes shortly before Japan's surrender to US forces in order to prevent their capture. Other sources we think that are more credible report that no prototypes were known to have been completed. 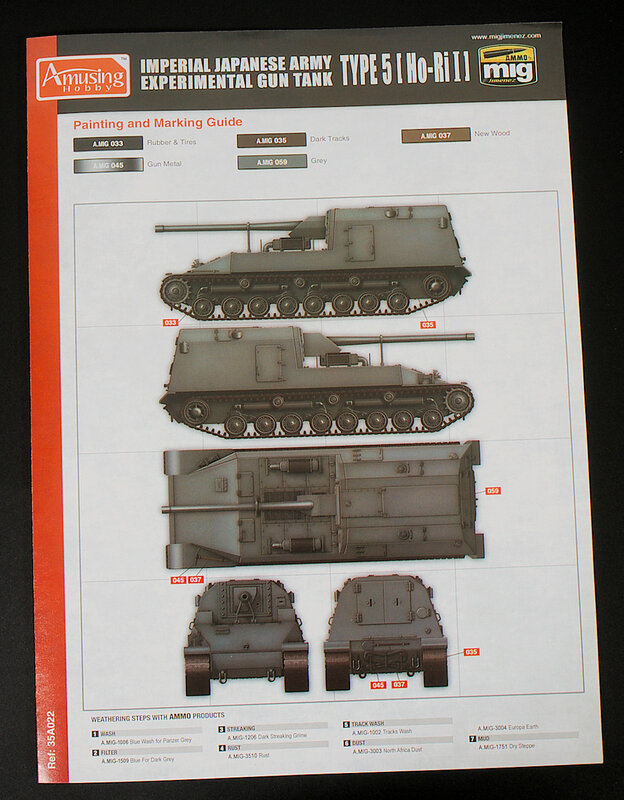 There was a wooden Type 5 gun tank Ho-Ri I mock-up scale model made, but that was all she wrote! 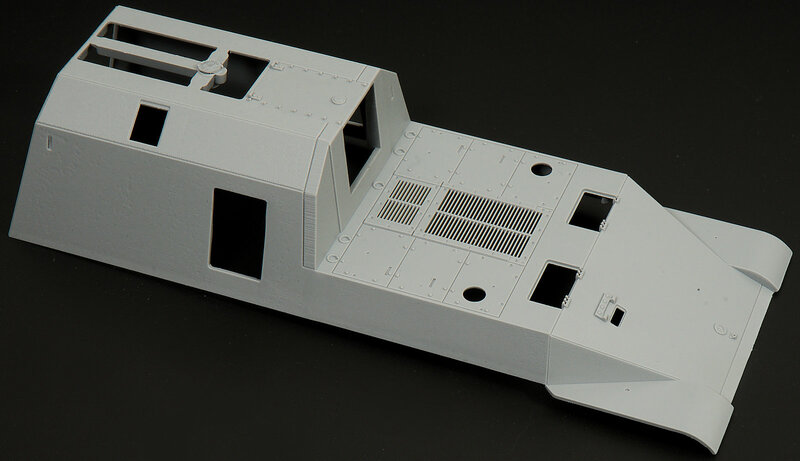 In a very pristine white box with mono-green choice of box art by Masami Onishi houses this newly tooled kit from Amusing Hobby. The artwork is nicely drawn and painted and the monotone green tank sure stands out on the white box, however, it does not really reveal the several small angled shapes present on this vehicle as much as a lighter coloured tank is my only slight criticism there - maybe the camo version a little lighter might have been a better choice? 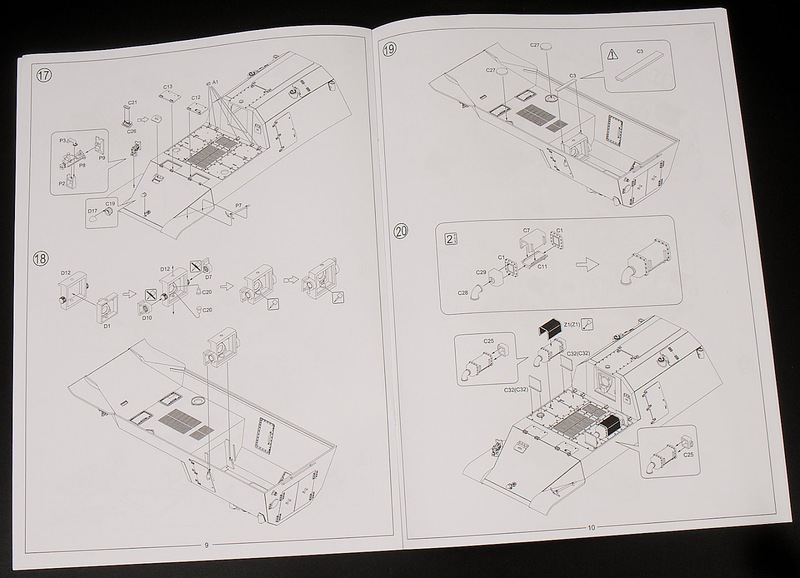 Now - I am going to build this, so I will save the play-by-play of the build for the next part, but this A4 sized mostly black and white printed paper instruction sheet is pretty simple to follow, clear and not cluttered in nature. The thirteen pages have twenty-five steps in them and you can see the parts that are being pointed out in the sequences. 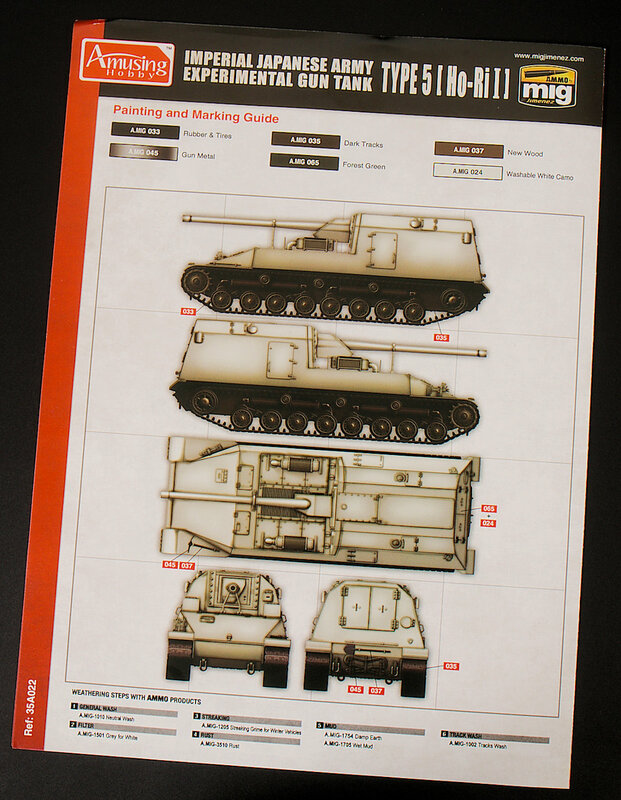 The four-page semi-gloss coloured vehicle camouflage guide features the vehicle from all sides which is great - the colour schemes are from the team at AMMO, and the colours of the tank are named in their shades. 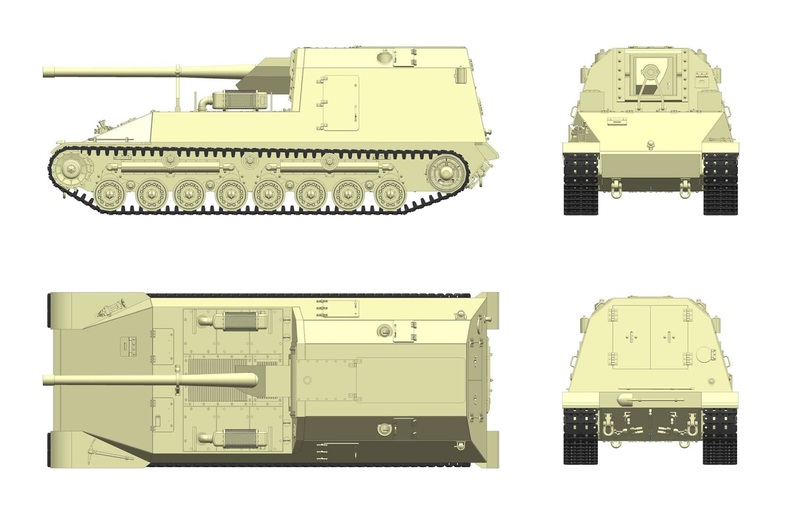 Three of these, however, do not really require a camo guide as they are in monotone, with a grey, green and winter white version along with one (thank goodness) camo'ed version. 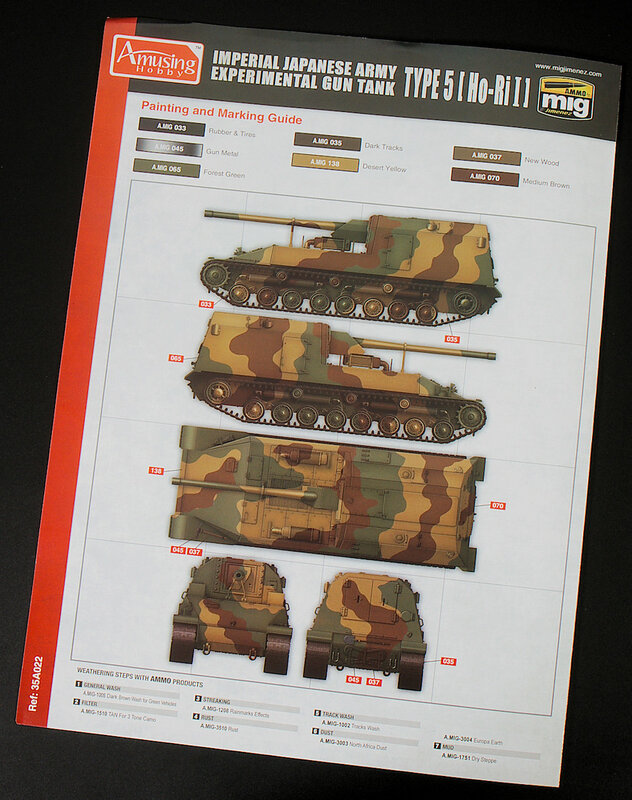 All of these camouflages are spurious of course as the tank was never made we think past a wooden model, but they are a good reference for the modeller anyway. 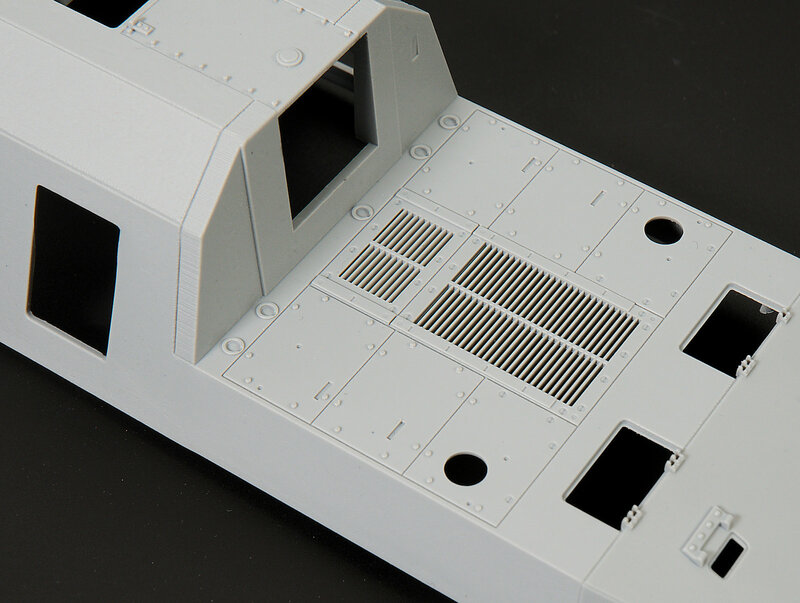 Now in four detail shots of the upper hull we see first the front glacis - angled at 70 degrees in planning, this hull features welded seams (with a LARGE one on the very front glacis) and not that much of a rolled steel surface texture on the front plate. 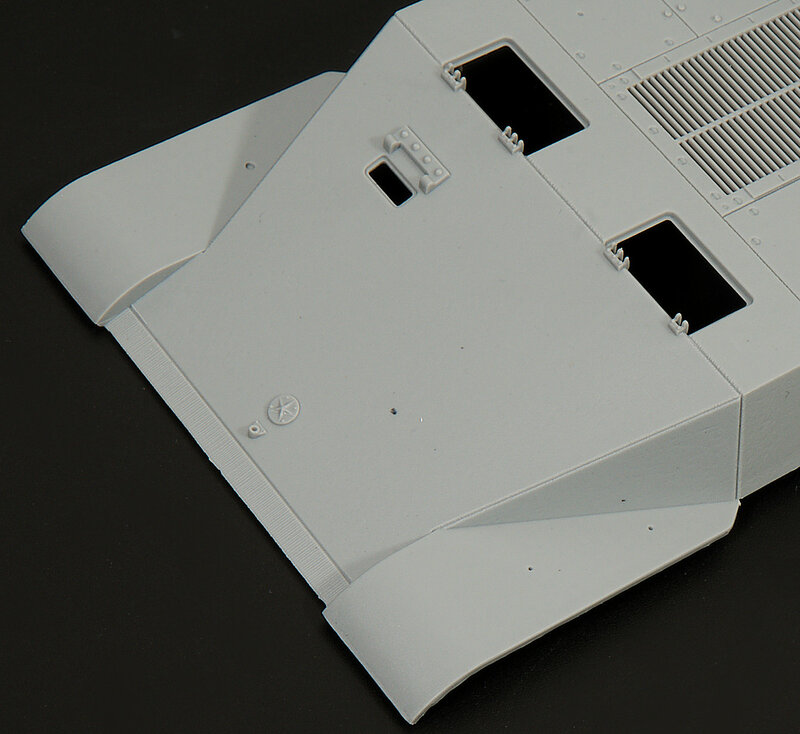 There is a much more pronounced texture of steel on the rear of the tank. the poured and pitted sides you see here are a lot more apparent to this reviewer, these surfaces are replicated over the roof and the other side. These sides were to be 25mm - 30mm in thickness only, so maybe it is a different grade of steel to be used here that are represented? The rear is also made from the same, textured metal represented so nicely here. The small weld seams between plates are on every joint here, the large rear hole and the side square holes are for the crew, ammunition and maintenance access. The lower hull is mostly in this one piece you see before you. 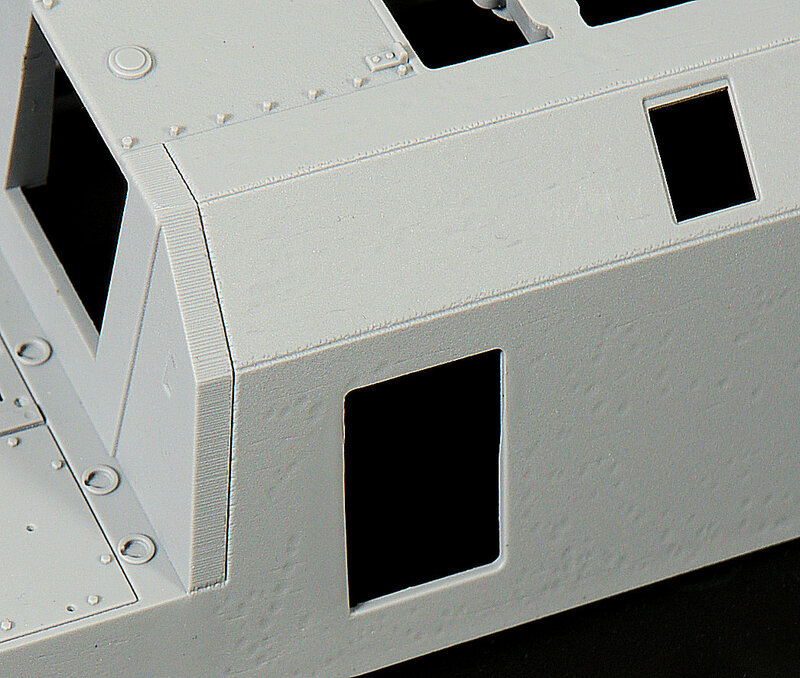 Present in this part are the more subtle plate steel surface details and the welded seams on the front of the hull. 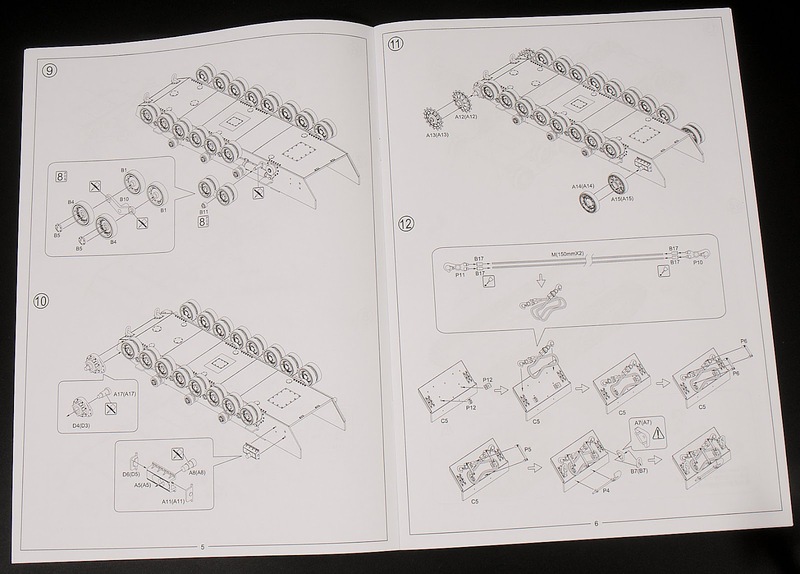 There are several notches for the parts of the suspension to attach to on the sides of the hull including the recess for the front drives to locate into. 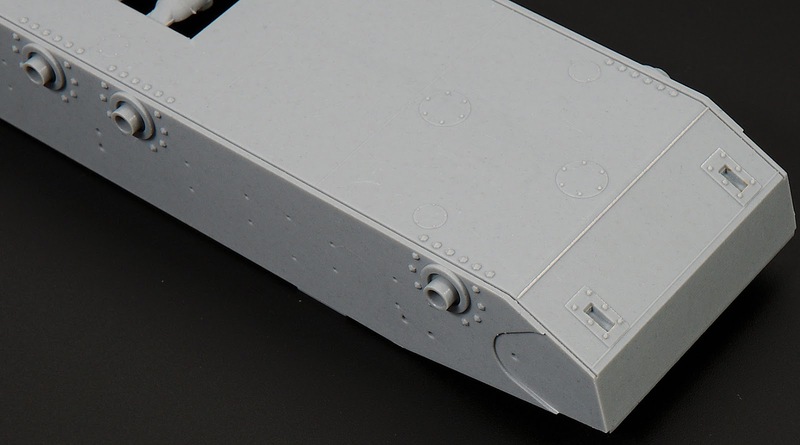 In this close up of the front, you can see the bolt detail around the additional plats, the maintenance hatches underneath the tank and the ohh-so subtle surface texture which is only slightly noticeable on this part. 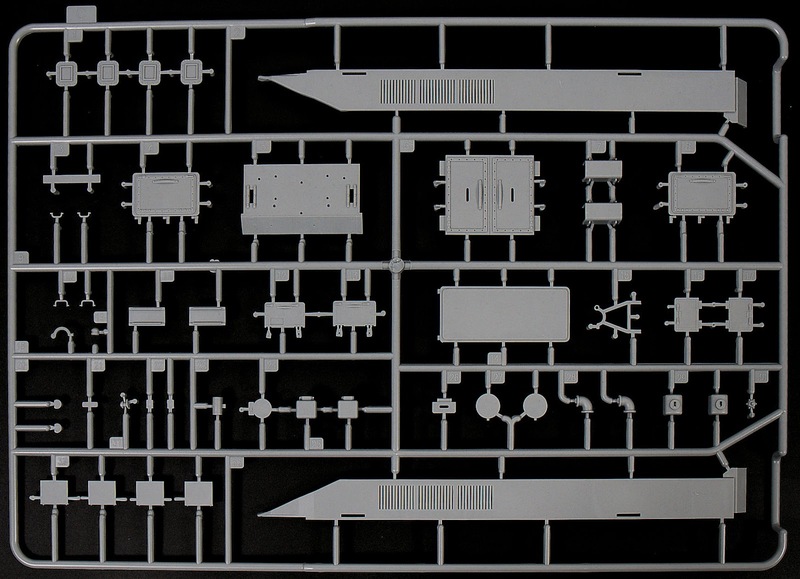 The hull joins up to two side guards which fit straight on tot he upper hull, these guards we will see on another sprue. 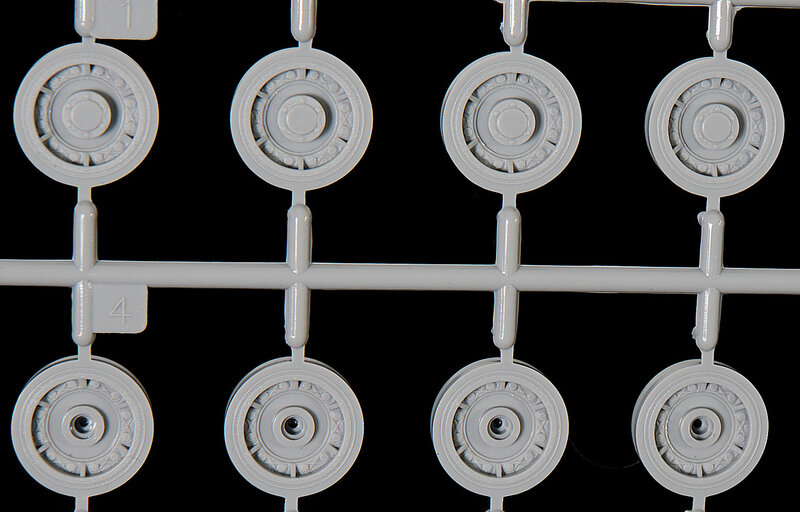 There are two copies of this sprue, the drive sprockets, return wheels and several smaller hook, aerial and light attachments that secure on to the hull are included here. These long half cylinders B9/ B 10 are the housings for the spring suspension to be recessed into. This suspension works pretty well from the video of the working one I have seen, more on that later. Both sides of the drive sprocket and the return rollers are finely detailed here as you can see. 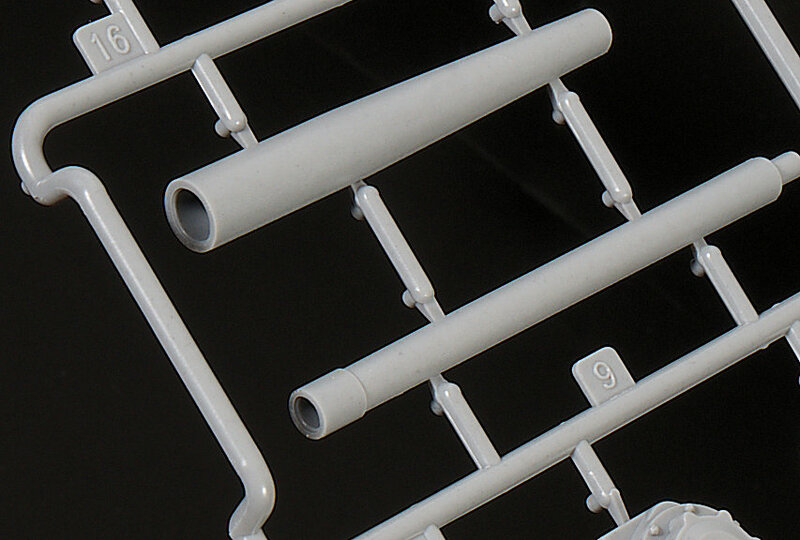 OK - it's suspension time with four of these sprues the same making up most of the running gear of this tank. You will see when we build this tank these swing arms in motion on the suspension. The details on the roadwheels are impressive to my eyes. These wheels are doubled up to provide a lesser ground pressure for the tank on to the tracks. Those swing arms - these attach tot he springs which push into the long cylindrical piston holders we saw on Sprue A.
Hatches, hatches, hatches - also the two large fenders, gun travel lock, main cab compartment doors on the side and back of the rear of the upper hul / casemate of the tank. 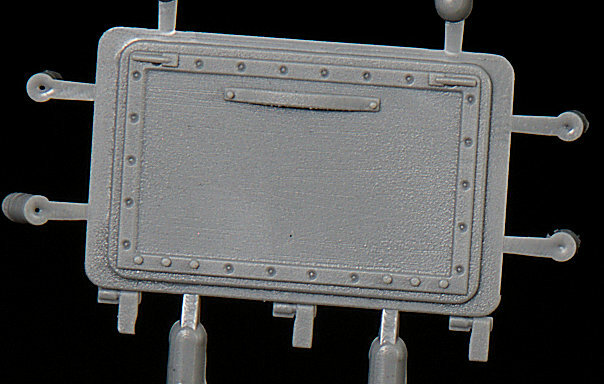 Slide moulds are used for the manufacture of a lot of parts for this kit - notice here on the rear of the side guards the different surface texture recreated by using this technique on the one part. 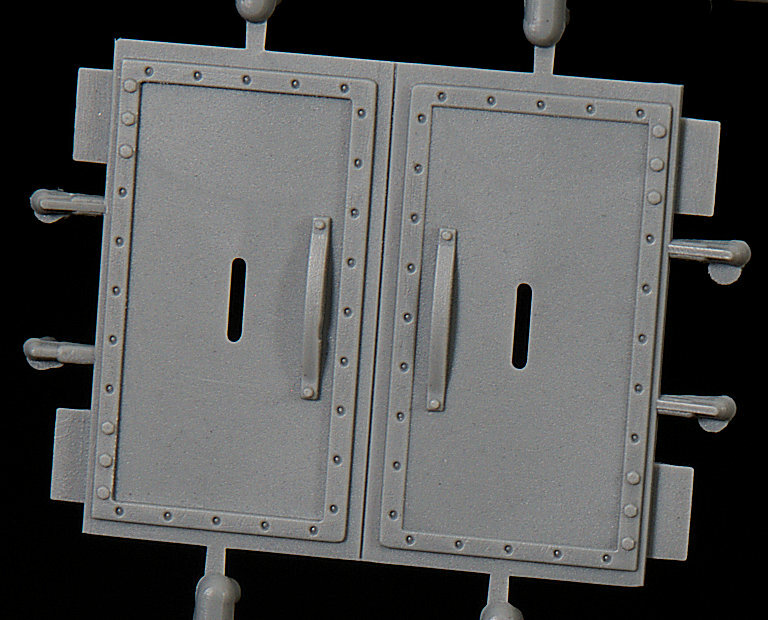 Another example of a very nice texture on these rear twin doors that most of the ammo, consumables and the repair of major parts like the gun. They would probably pass through these doors. 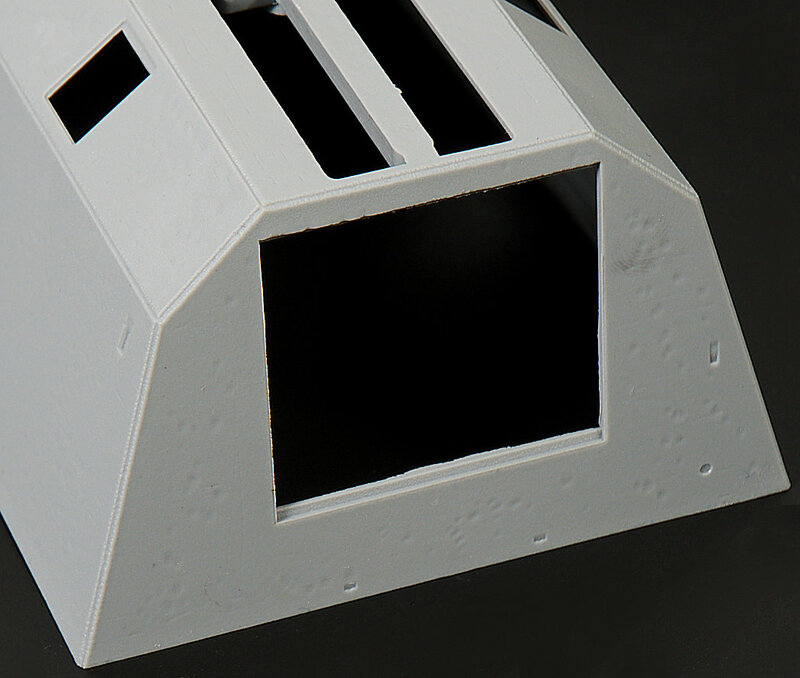 The two side hatches showing a little of the same detail. The armour we have looked at - now how about 105mm Cannon and it's apparatus. Sprue D is concerned just with the gun and mantlet. 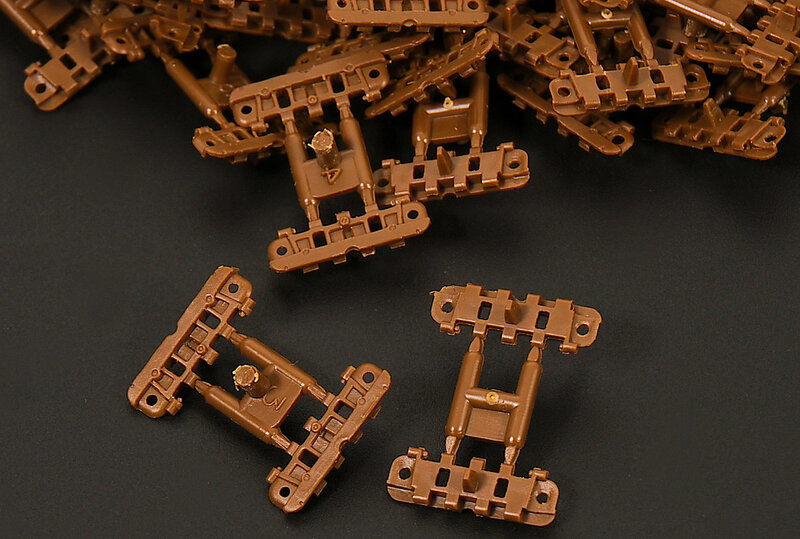 There is slide mould technology helps with making the round parts in a single piece. The gun is only a barrel that attaches to the plastic hinges that sit behind the gun mantlet. The main guns, here in two parts that sit snugly inside each other. 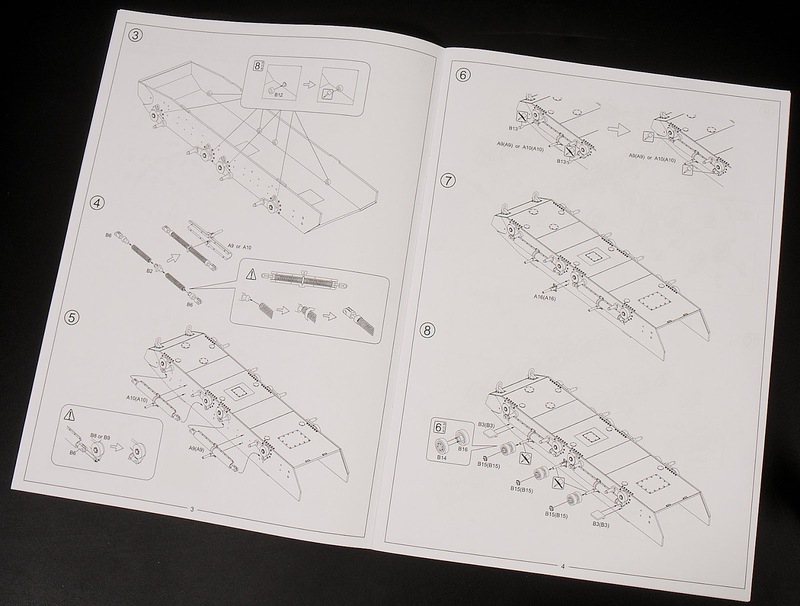 No seams or parts to glue - nice work fromt he moulders/ designers here. 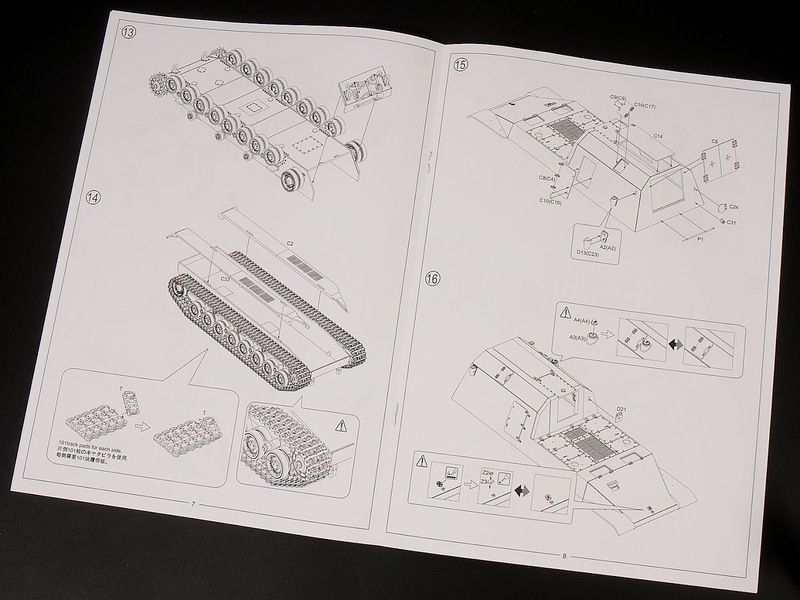 Hooks, tools and other small additions hint at not just what is on this tank, but perhaps more Japanese tanks by the designation "Sprue P" don't you think? 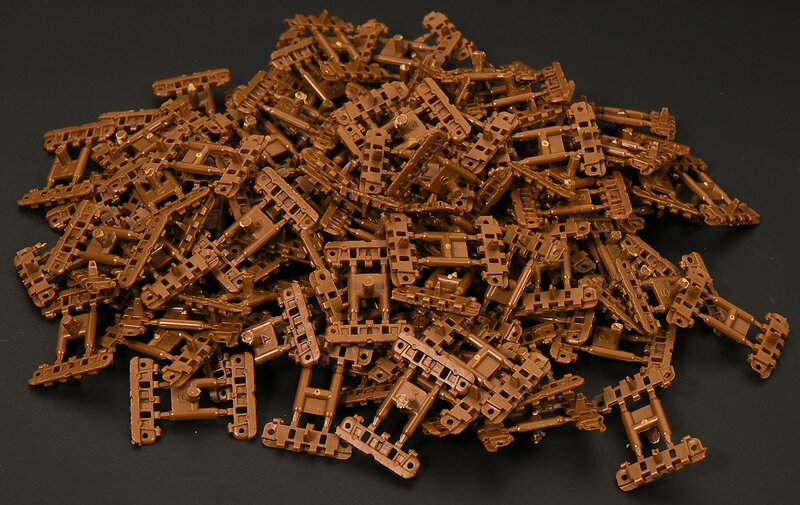 There is a small bag of tracks for this kit and on the tank, there are one hundred and five of them on each side. Thanks to geez that they are simple click together types, and on inspection of them I can see no ejector marks or sink marks often present on tracks. A close up of the tracks in detail. They simply click into each other, but knowing tracks and how they would I will definitely glue mine in place. 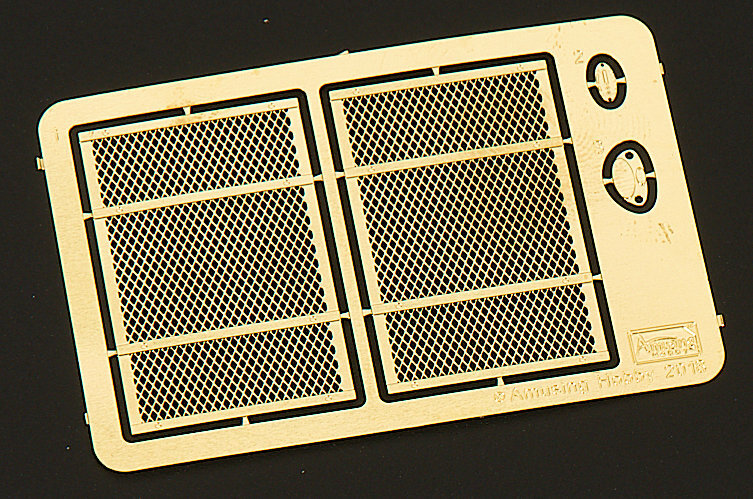 The single small photo-etch sheet has two mesh screens for the engine exhausts and the emblems of the tank. Nice to see moulding technology keeping the use of etch to a minimum. 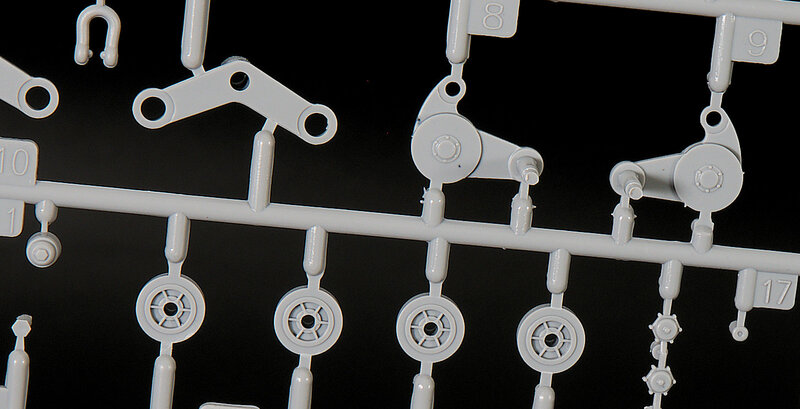 There are eight springs made from metal included in the kit - they push sideways into the encasing shapes and create a quite springy and I think a truly workable suspension that will work better than the plastic springs we often get as modellers. Here is a video showing the suspension in operation. Two strands of 15cm copper wire are to be used on the rear of the casemates where they strap to the lugs provided. 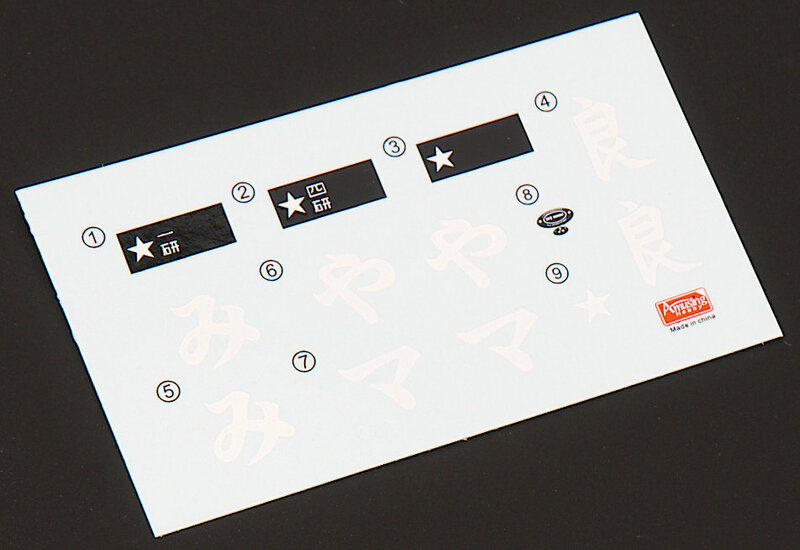 From what I see it is an improvement on the kits already released by amusing hobby because of a few simple reasons. The two cables are provided in the box, the suspension looks like it will work properly and the tracks are simple. These are three places I have thought they needed to improve on and we have just that here. 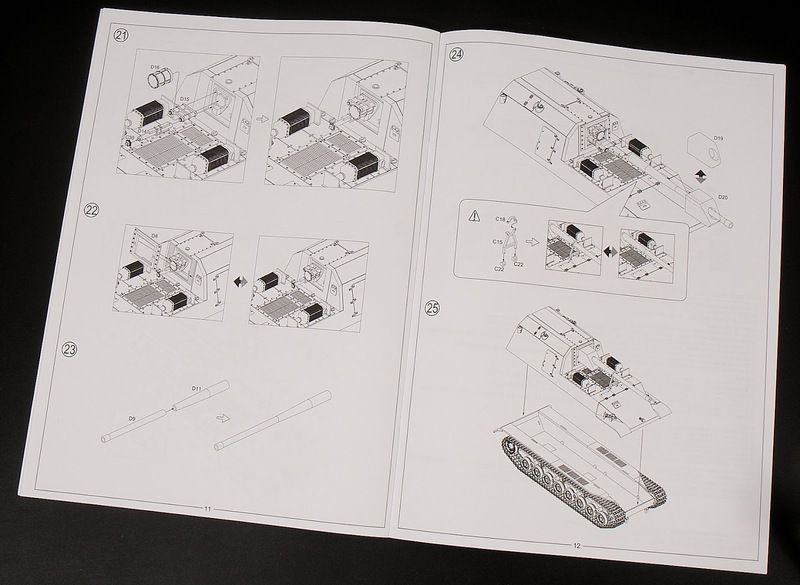 Whether the subject is your cup of tea or not is up to you, but I was not considering building it, and now looking at the kit - I am quite interested in getting mine built. 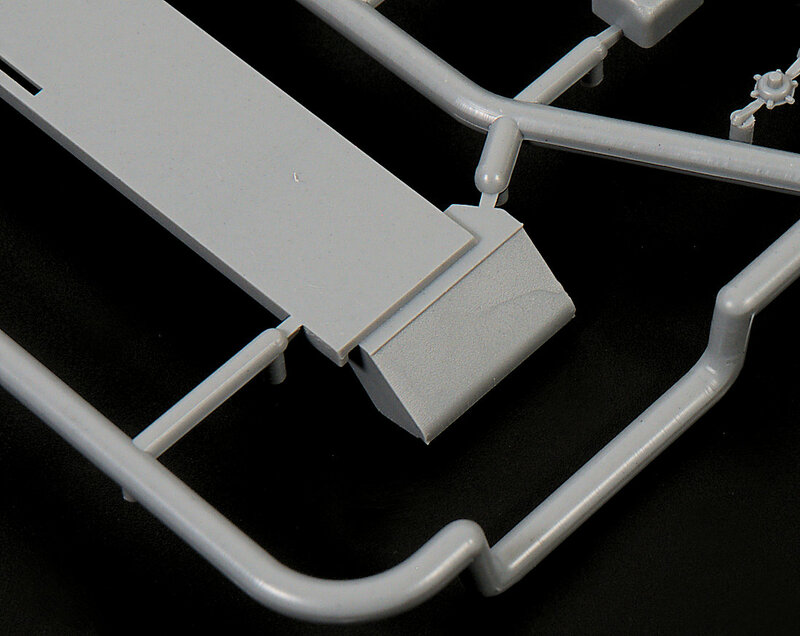 It is a simple kit that could take on a lot more extras in accessories or super detailed, or you could simply just make it in a quick, uncomplicated build. Ill be doing that in a build and posting it back up here in a week or so, so stay tuned. Thanks to Amusing Hobby for sending this kit to us to review.